All favelatour.org and FAVELA ADVENTURES Guides are residents who were born and raised here in Rocinha and still reside in the favela. Our main purpose is provide visitors with an educational but fun experience while in our community. There is so much to do in Rocinha and it is our goal to show you as much about our culture here in the favela. Please feel free to ask us any questions about our community. By visiting Rocinha you open up cross cultural exchange and help to break down misconceptions and or myths about favela communities. This aids in a better understanding the class system that exists not only in Rio de Janeiro but in Brazil. Please read the Testimonial Page to learn what others have experienced in Rocinha with Zezinho and other guides on their tours! We welcome you to our community and thank you for choosing the only tour company that is 100% OWNED AND OPERATED BY FAVELA RESIDENTS. Zezinho is proud to say that he is both American and Brazilian who carries both passports. Part of the decision to live outside of Brazil was to make enough money to take care of his families' medical needs. He moved back and forth from California and Brazil looking after his family members. 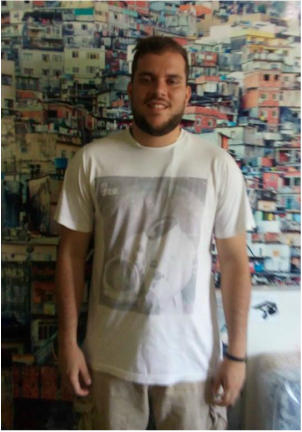 After his father’s passing in July of 2008, Zezinho decided that he wanted to move back to Rocinha to help the community and be closer to relatives still living in the favela. Since 2004, Zezinho has raised money for different non profits in Rocinha. He has started his own tour company (FAVELA ADVENTURES) which also offers cultural exchange programs. The purpose of his work is to employ people from the favela and expose favela culture to the outside world. 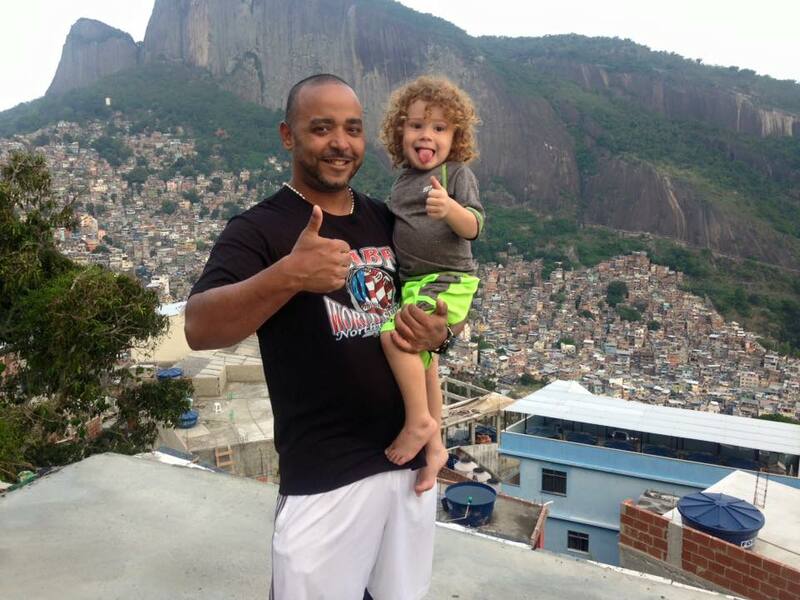 Zezinho currently now resides full time in Rocinha. His current project is SPIN ROCINHA DJ School that is currently in operation. Every Monday through Saturday night from 7:00-9:30pm are the classes for about 18 students. 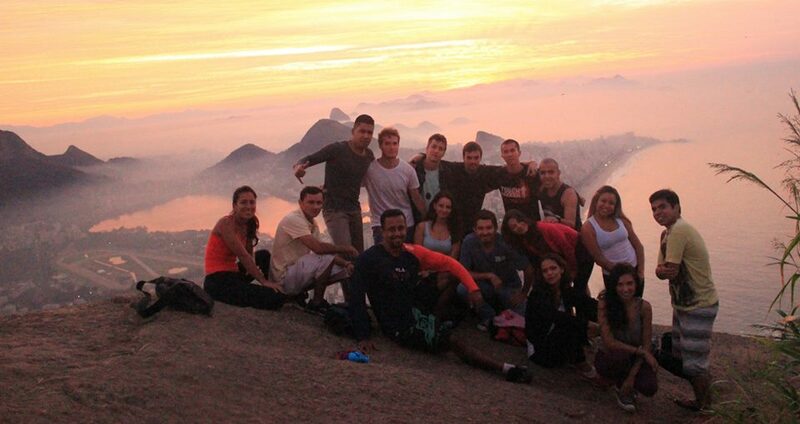 Since the opening of Spin Rocinha, over 60 students have graduated from the program. He and his friend and business partner, Yvonne Pearson, from Canada, are the founders of favelatour.org and FAVELA ADVENTURES. He began officially giving tours 7 years ago but music and Dj’ing kept him busy and took most of his time. After returning to Rocinha in 2008, he wanted to give back something to the community. He began giving tours again and many people told him that he needed to focus on this as there was so much positive response to his unique tours. After much thought, Zezinho wanted to do this, but only if it could include other residents. The goal of Zezinho’s visits is the education and personal interaction between visitor and residents of the community. Favela Adventures now employs up to 8 local guides from the community depending on the season and the other guides schedules. Many of the other guides have other employment. Zezinho’s other interests are Dj’ing, Music, Graffiti, Art, Skating, Jiu Jitsu, his 3 cats and helping others achieve their goals. Zezinho’s goal is to to give people an authentic favela experience . by walking through the community and at comfortable pace. Zezinho can be reached at visitrocinha@gmail.com. I have known Rick for over 10 years and he first started his work with NGO's in Rocinha back in 2005. He has always been involved in some way with community organizations both in the US and in Rio de Janeiro. He currently lives in Rio and works in Copacabana for a car leasing company for exclusive and VIP guests. He lives in Rocinha with his 4 year old son. He enjoys computers, connecting with entrepreneurs, Social Work and enjoys running on the beach. He is a new addition to Favela Adventures. He speaks English, Spanish and Portuguese. I first met Guilherme or "Xuxa" (pronounced Shoo-Sha) as he is called back in 2007 when he was studying English at Two Brothers, a NGO here in Rocinha. He was born and raised in Rocinha. He is now 25 years old. He used to hang out with Sandro, a graffiti artist and Jiu jitsu practitioner. When I would see Xuxa, he always enjoyed showing off his new ability to speak English. 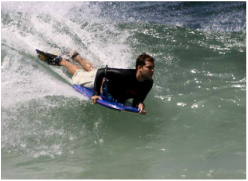 My friend Ryan came to visit in 2011 and donated his bodyboard to me to give to somebody in Rocinha. I knew Xuxa loved to bodyboard and knew that this would be a great present. Every month or so I would see him while walking through the community and always thought he would be a good choice as a guide. The only problem is he was already working at a store in Leblon. He went to Estacio de Sa University and graduated in the hospitality sector so this tourism course is just adding to his objective. I never knew about him graduating or making this course until recently. About 2 months ago I saw him and he told me his plans. He studies Monday through Friday from 8am -12 noon. On the weekends Guilherme works with us. He also still bodyboards and is now training Jiu jitsu as well. His other hobbies are running, hiking and bike riding. He enjoys football and his favorite team is Flamengo. His favorite American football team is the Seattle Sea Hawks. He is a good addition to our team as he enjoys meeting people from all over the world. "I was born and still live in Rocinha, this amazing city inside the Rio city ( I used to say that because it's another world this community), where I was raised and learned everything, where I made friends, where I learned how to became a citizen, I learned to respect the next, had to achieve awareness that if you wanna something you should fight for it, in fact, a world where it was created for the world. I'm a geography teacher, who loves to work with people as well, and I'm beginning this journey as tour guide. 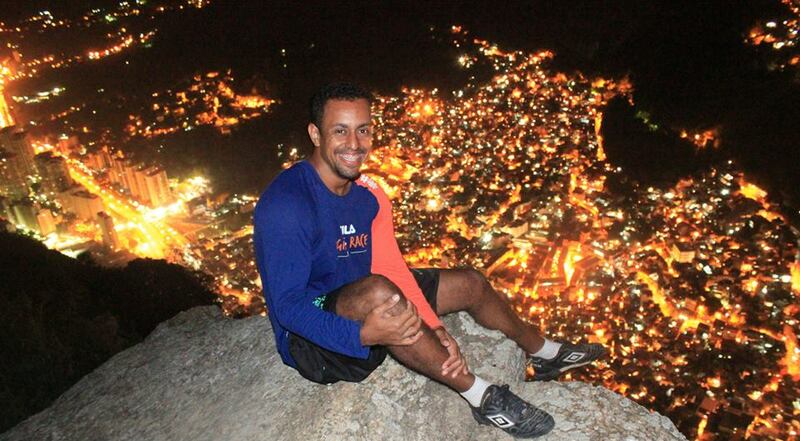 I am very interested in exchanging experiences and show the world my home that is Rocinha." 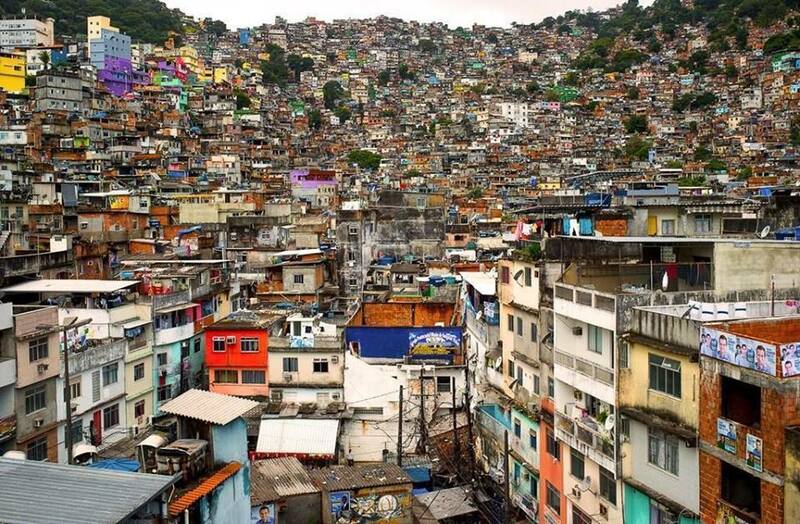 Marcos Barros was born and raised in Rocinha and still resides here. He graduated from PUC, a private University here in Rio and currently works helping students transition from High School to University by preparing them to take the entrance exams. He enjoys hiking and showing Rio to guests. He runs a beach football team called "Pretao Futebol Clube" which meets every week and the format is to include visitors from other countries to take part in the games. If you have interest to participate in this activity, please contact us or check out his facebook page here. Marcos is a great addition to our team.